Thanks to everyone who has participated in helping CAA develop a new strategic plan that will help to guide our activities for the next three years. We’re ready to share the results. The process began last spring with an online survey, two town hall meetings, and a strategic planning meeting. Learn more about the first part of the process here. CAA staff members then sifted through what was discussed at those meetings and generated a plan based on the contributions of community members. Since its founding in 1998, CAA has had several strategic plans. Naturally, as the state of the movement and our culture shifts, so to does the strategic plan. With the strategic plan, we answer the question of how we can currently achieve our mission to encourage people to embrace their empathy and move toward a plant-based diet. The new strategic plan maintains our focus on helping farmed animals and upholds CAA’s core values. We also continue to emphasize a welcoming approach because it’s both most effective at creating change and models the empathy we want to promote. We have re-conceptualized how we can grow our movement. 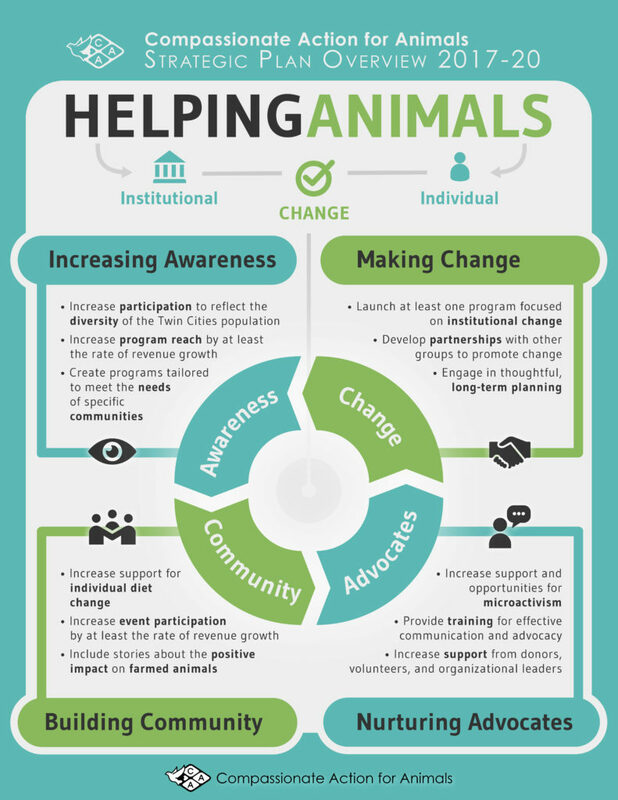 Through our CAA programs, events, and activities, we are facilitating a cyclical process of increasing awareness, building community, empowering advocates, and creating change. All of CAA’s recurring programs are being reviewed and modified according to the new strategic plan. Specific action plans and evaluation methods are identified for each goal, and new programs are being considered. Currently, CAA staff and board members are working on multi-year diversity and inclusion plans for programming and communications. We are also implementing expansion of our Bridges of Respect humane education program and making improvements to our mass email communications. Looking ahead, plans are in the works for increasing student leadership on college campuses and developing a series of skill-building workshops for animal advocates. 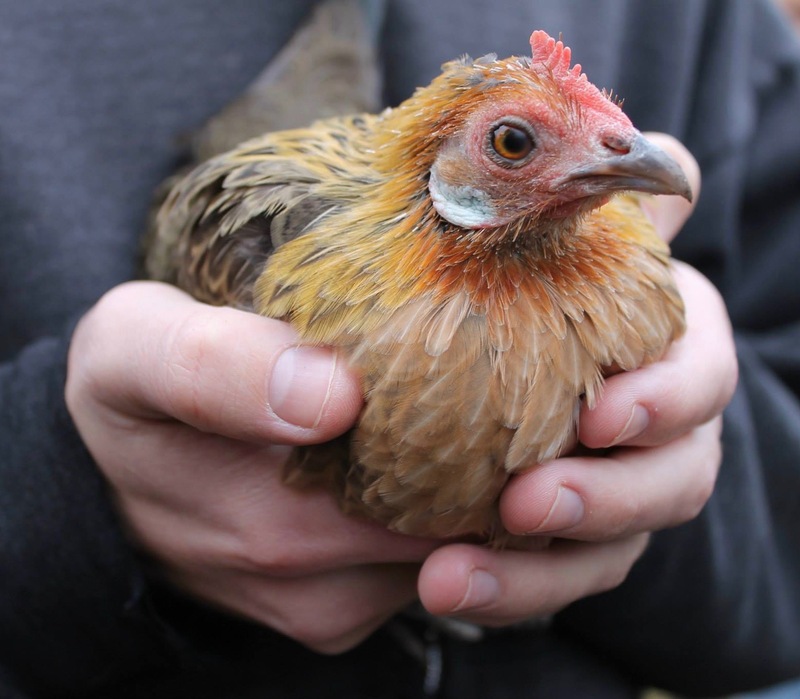 As CAA enters its twentieth year advocating for animals, we recognize that we’re at an exciting point in our history. How far we go from here depends a combination of effective planning and community support. If you believe in our mission and our strategic plan, we hope you’ll get involved. Our organization and our movement depend on a community of dedicated individuals just like you. Sign up to give steady support through a recurring donation and sign up for one of our upcoming volunteer opportunities. However you engage with CAA, we hope that you will continue to make kind choices each and every day. Thank you for all that you do for the animals!